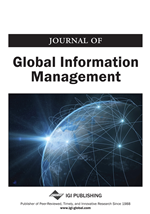 While many studies focused on what is management information system (MIS) major, how it attracts potential students, and describes needed skills, the perceptions of fresh MIS graduates' continuous intention to stay working in the field, especially in developing countries has not yet been studied empirically. In addition, there seems to be minimal effort investigating the issue from the Arab perspective. This article is the first that develops a continuous model and is built upon the expectation confirmation model and other subsequent efforts. This model links three external variables, among them two new ones: skill-job fit, Wasta, and computer self-efficacy. This model was validated using a sample of 105 graduates in Kuwait. Results reveal that the new cultural variable “Wasta” has impact on continuous intention through the mediation of satisfaction, while skill job and computer self-efficacy affect continuous intention through the mediation of expectation and confirmation, and the skill-job fit exert the strongest impact on intention. This research is expected to advance both theory and practice. Recent research suggests that programs dedicated to information systems (e.g. IS/CIS/IT) need to be aligned with market needs in order to prepare students (seen as future employees) for the jobs they will be filling upon their graduation (Joshi et al., 2010a, 2010b; Litecky et al., 2012). The need for well-educated professionals in the field is the basis for a strong link between educational programs and the professional community of information system (IS) practitioners (Abraham et al., 2006). The management information system (MIS) field is undergoing radical changes. In the past, its main role consisted of developing information systems and then changed to delivering IT support. However, nowadays these roles have shifted toward a service role and supporting organizational business processes through outsourcing and buying ready-made software packages. In the past IS employees’ satisfaction was a prominent topic in IS research, focusing on different issues including turnover of IS professionals (Moore, 2000; Joseph et al., 2007; McKnight et al., 2009; Chang 2010) and skills of MIS jobs (Cheney et al., 1990; Trauth et al., 1993; Lee et al., 1995; Todd et al., 1995; Gallivan et al., 2004; Yen et al., 2003; Wu et al., 2007). However, and to our knowledge, fewer studies focus on fresh MIS graduates’ continuous intention as opposed to their turnover. This raises the issue of whether MIS graduates are ready to fill in these new roles and therefore motivate this study toward understanding the factors that affect graduates’ continuous stay in the MIS field since their retention is a key concern within IT organizations today (McMurtrey et al., 2008).